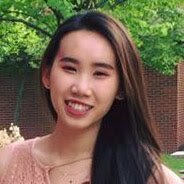 Congrats to Vivian Zhou for winning the prestigious National Science Foundation (NSF) Graduate Research Fellowship (GRF)! Her research proposal is focused on exploring new frontiers of quantum engineering. Vivian is finishing her BS/MS study at CWRU in May and will start pursuing her Ph.D. study this Fall. Congrats to Jon McCandless for winning the prestigious National Science Foundation (NSF) Graduate Research Fellowship (GRF)! His GRF research proposal is focused on bold ideas of growing phase-pure, single-crystal Ga2O3 in a new crystalline phase. 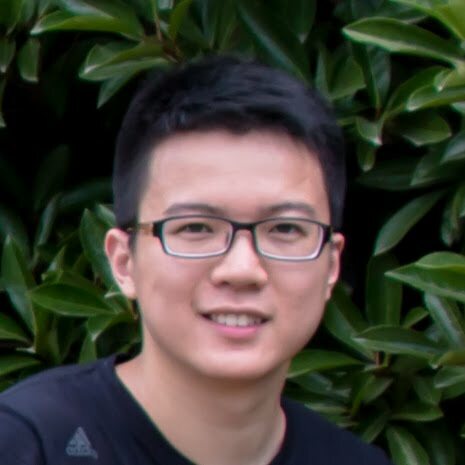 Jon worked in the Feng group from 2014 to 2016, focusing on 2D materials and devices. 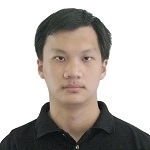 He is currently pursuing Ph.D. at Cornell University. Congrats to Laura and Vivian for our team’s new journal article in Optical Materials Express, reporting on synergizing numerical modeling and experimental efforts to reveal the optical contrast signatures of h-BN on various substrates. The work offers a non-contact, rapid thickness estimation method for h-BN thin films on suspended device platforms, where conventional contact methods are incapable or cumbersome. Congrats to Arnob and Anno for our team’s new journal article in Optical Materials Express, demonstrating the first polarization sensitive black phosphorus (P) nanomechanical resonators. The observed polarization responsivity of the resonance frequency can be utilized to realize polarimetric nanodevices to detect optical rotation of optically active substances. Further, from polarization sensitive resonance frequency shift, it is possible to identify two unknown in-plane crystal directions, armchair (AC) and zigzag (ZZ), of black P crystals. A new invited article from our team is published in APL Materials, demonstrating the first dual-modality solar-blind UV light sensing β-Ga2O3 transducer enabled by multi-physics coupling across photo-electrical and photo-thermo-mechanical domains. Congrats to Xu-Qian and Yong! Our group's work was selected to be presented at the 64th International Electron Devices Meeting (IEDM 2018), San Francisco, CA, Dec. 1-5. Fan gave an oral presentation at the conference. Nano Letters publishes our recent article on probing the anisotropic in-plane thermal conductivity of black phosphorus crystal, in a mechanically suspended device platform, by exploiting a novel opto-thermomechanical resonance spectromicroscopy technique. This study validates a new non-invasive approach to determining anisotropic thermal conductivity without any requirement of pre-knowledge of crystal orientation and specific configurations of structure and electrodes according to the anisotropy. Big congrats to Arnob and Anno! 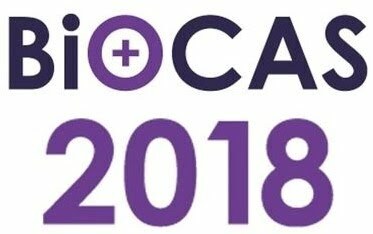 Group member Justin gave an oral presentation at the 2018 Biomedical Circuits and Systems Conference (BioCAS 2018), Cleveland, OH, Oct. 17-19. 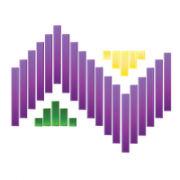 Our group's work was selected to be presented at the IEEE 13th Nanotechnology Materials and Devices Conference (NMDC 2018), Portland, OR, Oct. 14-17. Arnob gave an oral presentation at the conference. 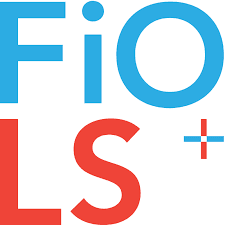 Group members Yanan made a Rapid Fire presentation at the OSA Frontiers in Optics and Laser Science (FiO+LS 2018), Washington, District of Columbia, Oct. 16-20, 2018. 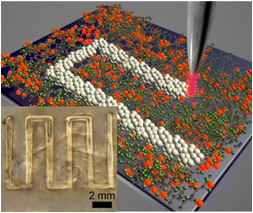 Congrats to Justin and Hao Tang for our team’s new journal article in Journal of Applied Physics, reporting on experimental demonstrations of the first sub-100μm scale, both standard and inverse Chladni figures, in both 1D and 2D fashions in liquid, and on exploiting these micro Chladni figures for patterning microparticles on chip. Group member Xu-Qian made an oral presentation at the 2018 US Workshop on Gallium Oxide (GOX 2018), Columbus, OH, Aug. 15-16, 2018. 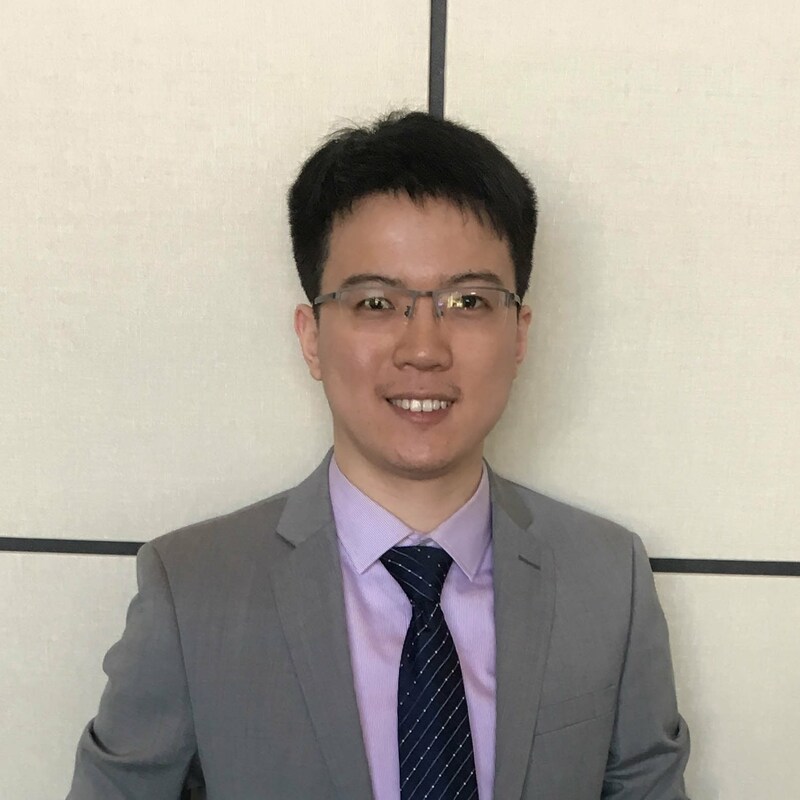 Congrats to Dr. Shiquan Fan, Liuming and Ran for our team’s new journal article in IEEE Transactions of Power Electronics, reporting an ultralow quiescent current power management system with maximum power point tracking (MPPT) for batteryless wireless sensor applications. This article has been selected by the Editors to be a “Highlighted Paper”, with highlighting slides and video. ACS Applied Materials & Interfaces publishes our team’s new article on discerning black phosphorus crystal orientation and anisotropy by polarized reflectance measurement. Congrats to Arnob and co-authors. Congrats to Xu-Qian and Jaesung for our team’s new article in IEEE Electron Device Letters, the top IEEE journal in devices research areas. In this paper, we report on the first beta gallium oxide (β-Ga2O3) crystal feedback oscillator built by employing a vibrating β-Ga2O3 nanoresonator as the frequency reference for real-time middle ultraviolet light detection. Congrats to Arnob for his new journal paper in ACS Photonics, reporting on the first atomically thin GaSe/MoS2 van der Waals heterostructure photodiode with low noise and large dynamic range. Our group's work on β-Ga2O3 oscillator for real-time middle ultraviolet sensing was selected as a Late News Paper to be presented at the 2018 Solid-State Sensors, Actuators and Microsystems Workshop (HH2018), Hilton Head Island, SC, Jun. 3-7, 2018. Our group's works were selected to be presented at the 2018 IEEE International Frequency Control Symposium (IFCS 2018) in Olympic Valley, California, May 22-24, 2018. Group member Jaesung made an oral presentation, and group members Arnob, Hailong, Tengda, and Xu-Qian each presented a poster. Congrats to Vivian for winning the First Place in Oral Presentations at the ERN among undergraduate students in the Technology and Engineering areas! Our group member Vivian presented her work on optical characterization of diamond and SiC films, and CVD growth of diamond films at the 2018 Emerging Researchers National (ERN) Conference in STEM. Her trip has been supported by the ERN Conference Travel Award. Science Advances (Science magazine’s multidisciplinary offspring) publishes our team’s article on the first experimental demonstration of clearly defined single-, bi-, and trilayer MoS2 2D resonant NEMS operating in the very high frequency band (up to ~120 MHz) with outstanding electrical tunability and dynamic range. Congratulations to Jaesung and Max! Case Daily, AAAS, and IEEE Spectrum have published news articles on this work. Group members Arnob and Xu-Qian gave poster presentations at the 31st IEEE International Conference on Micro Electro Mechanical Systems (MEMS 2018), held in Belfast, UK, Jan. 21-25, 2018. 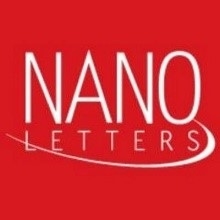 Congrats to Fan and Jaesung for their new journal paper in Nano Letters, reporting on electrothermally tunable graphene resonators operating at very high temperature up to 1200K! This has been exciting because we’ve established some new records in nanoscale devices by really exploiting a unique ensemble of unusual attributes of graphene — negative thermal expansion coefficient (shrinks when heat up!) + inherently high-T tolerant, etc. Congrats to Arnob for his second paper this year published in Journal of Applied Physics, reporting on all-dry transferred single- and few-layer MoS2 field effect transistor with enhanced performance by thermal annealing. Congrats to Xu-Qian and Jaesung for our team’s new article in ACS Applied Materials & Interfaces, reporting on the experimental demonstration of single-crystal beta gallium oxide (β-Ga2O3) nanomechanical resonators using β-Ga2O3 nanoflakes grown via low-pressure chemical vapor deposition. Group members Justin, Hailong, and Arnob gave oral presentations on 2D and BioMEMS research at the American Vacuum Society 64th International Symposium & Exhibition (AVS64), held in Tampa, Florida, Oct. 29-Nov. 3, 2017. Group members Ran and Xu-Qian won the “Most Promising Commercializable Project” for the pitch they made on Wednesday, October 24, 2017, at the 2017 TransTech Energy Business Development Conference. Congrats to Arnob for his new paper published in Journal of Applied Physics, reporting on the effects of asymmetric contacts on the photoresponse of a thin film tungsten diselenide (WSe2) phototransistor. Congrats to Jaesung for his new article in Nanoscale, reporting on carbon nanofiber high-frequency nanomechanical resonators. Microsystems & Nanoengineering (an open access journal from Nature Publishing Group) publishes our team’s new article on the experimental demonstration of hexagonal boron nitride (h-BN) 2D nanomechanical resonators vibrating at high and very high frequencies, and investigations of the elastic properties of h-BN by measuring the multimode resonant behavior of these devices. Congrats to Xu-Qian and Jaesung. Congrats to Rui, Jaesung, and Hao Tang for their a new original research paper in Nano Letters, reporting on tuning optical signatures of single- and few-Layer MoS2 by blown-bubble bulge straining up to fracture. This study opens new pathways for exploiting 2D semiconductors on stretchable substrates for flexible electronics, mechanical transducers, tunable optoelectronics, and biomedical transducers on curved and bulging surfaces. Group members Hailong and Xu-Qian presented posters at the 19th International Conference on Solid-State Sensors, Actuators and Microsystems (Transducers 2017) in Kaohsiung, Taiwan, June 18-22, 2017. Prof. Feng presented an invited lecture at the 14th International Workshop on Nanomechanical Sensors (NMC 2017), held in Kailua-Kona, Hawaii, Apr. 4-7, 2017. Group members Fan and Justin presented posters on 2D NEMS and BioMEMS research at the workshop. Congrats to our group member Xu-Qian for winning the Ruth Barber Moon Award for the 2016-2017 academic year! This university-wide award honors a few students “who demonstrate academic promise, leadership ability and financial need”. XQ is the only winner from School of Engineering this year. Prof. Feng presented an invited lecture at the 7th edition of Graphene Conference series, Graphene 2017, in Barcelona, Spain, March 28-31, 2017. Our group's works were selected to be presented at the 30th IEEE International Conference on Micro Electro Mechanical Systems (MEMS 2017) in Las Vegas, Nevada, Jan. 22-26, 2017. Group members Fan, Rui, and Xu-Qian made 3 oral presentations, and Justin, Xu-Qian presented 2 posters. 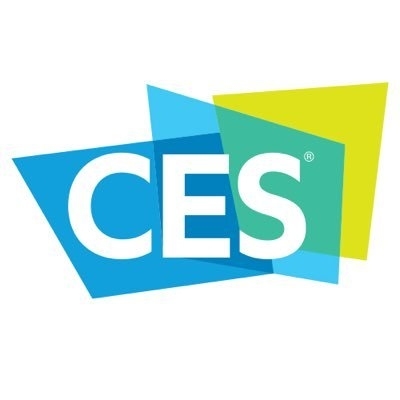 Group members Ran, Xu-Qian and Prof. Feng went to the Consumer Electronics Show (CES) 2017 in Las Vegas, Nevada, presenting the student entrepreneurial project, CrystalE, on self-powering sensor node technology from our group. Congrats to Justin for winning the Best Student Paper Award of MEMS/NEMS group at American Vacuum Society 63rd International Symposium & Exhibition (AVS 63), held in Nashville, Tennessee, Nov. 6-11, 2016. Group members Fan, Hailong, Justin, and Xu-Qian, Max, and Prof. Feng gave oral presentations at the American Vacuum Society 63rd International Symposium & Exhibition (AVS63), held in Nashville, Tennessee, November 6-11, 2017. Congrats to Max, Justin, Rui and Xu-Qian for their new article published in Nano Letters, reporting the first experiments on resolving and tuning mechanical anisotropy in black phosphorus NEMS. Group members Jon and Prof. Feng presented at the Solid-State Sensors, Actuators and Microsystems Workshop (HH2016), Hilton Head Island, SC, Jun. 5-9, 2016. The IFCS attendees visited LIGO Livingston after the IFCS 2016 conference and enjoyed close contact with one of the world’s most precise instrument. Our group's works were selected to be presented at the 2016 IEEE International Frequency Control Symposium (IFCS 2016), a flagship of IEEE UFFC, held in New Orleans, Louisiana, May 9-12, 2016. As a finalist for student paper competition, Xu-Qian presented both a talk and a poster for the paper competition. Congrats to Justin and Rui for their new article published in Nanoscale, reporting on the first demonstration of large-scale 2D NEMS resonators using a new transfer technique. 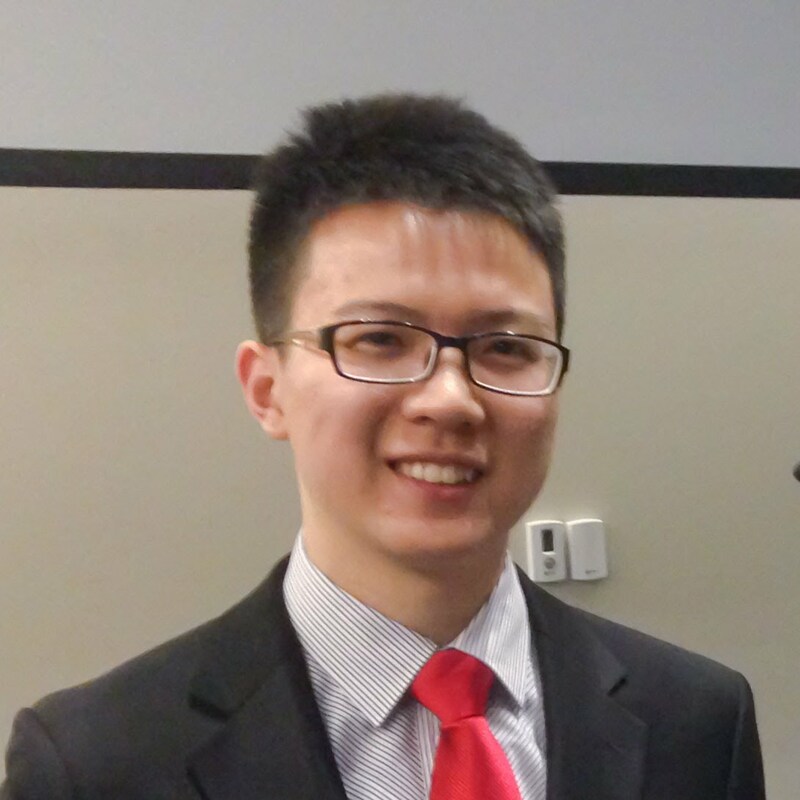 Group member Xu-Qian along with his teammates competed as a finalist team in the Rice Business Plan Competition. Rice Business Plan Competition is the world’s richest & largest graduate-level student startup competition. The 2016 competitions received 750+ applications with only 42 final teams to compete at Rice University in April 2017. Group member Xu-Qian along with his teammates competed as a finalist team in the regional Clean Energy Trust Challenge 2016. 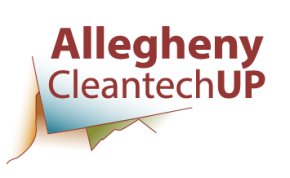 Group member Xu-Qian along with his teammates competed as a finalist team in the Allegheny CleantechUP Collegiate Completion 2016. Group member Xu-Qian attended ARPA-E Energy Innovation Summit as a ThinkEnergy Fellow. As one among a hundred selected attendees of the Student Program at the ARPA-E Energy Innovation Summit, XQ received a complimentary registration to the ARPA-E Summit. The trip was also sponsored by Great Lakes Energy Institute (GLEI) as a part of the ThinkEnergy Fellowship activities. Group member Rui and Prof. Feng attended the 29th IEEE International Conference on Micro Electro Mechanical Systems (MEMS2016), held in Shanghai, China, Jan. 24-28, 2016. Rui gave an oral presentation at the conference. Congratulations to Xu-Qian and his team, for winning the 1st place in the 2016 Case Clean Energy Challenge! The team will compete as a finalist in the regional and national clean energy competitions, Allegheny Region CleanTech University Prize Collegiate Competition in Pittsburgh in March, the Clean Energy Trust Challenge in Chicago in April, and Rice Business Plan Competition in Houston in April~! The group went to watch the new movie "The Martian" - as part of the Happy Thanksgiving holiday activities. Congrats to Rui and Arnob for their new article published online in Nanoscale, reporting on the modeling of electromechanical coupling in single-layer MoS2 suspended nanostructures, and describing designs for single-layer MoS2 suspended-channel field-effect transistors (FETs) and resonators. Prof. Feng gave an invited talk at IEEE SENSORS 2015, held in Busan, South Korea, November 1-4, 2015. The talk is on engineering atomic layer 2D semiconducting crystals into functional nanodevices and their emerging applications in physical sensing. Group members Justin, Hao, and XQ gave oral presentations on 2D and SiC devices research at the AVS 62nd International Symposium & Exhibition, held in San Jose, California, October 18-23, 2015. Prof. Feng and group member Rui gave an invited short course at the IEEE S3S 2015, teaching SOI NEMS and VLSI NEMS and their emerging applications. 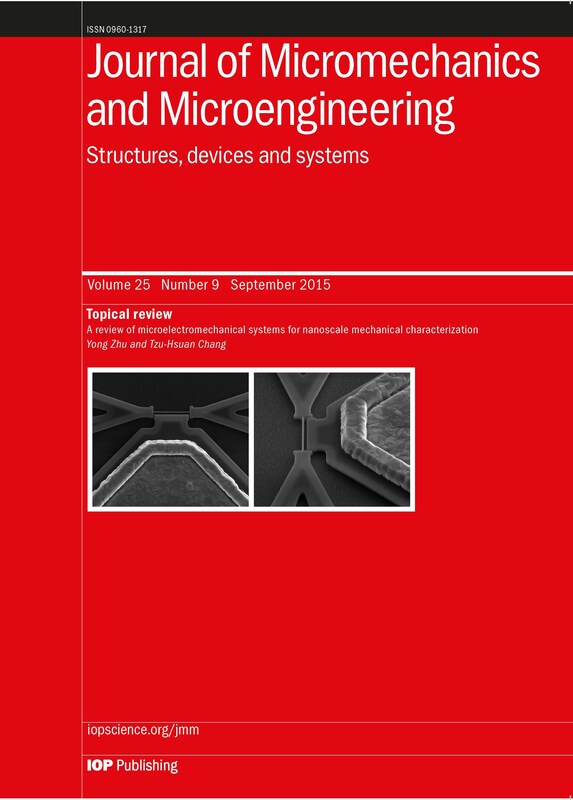 Our recent article on studying contact-mode nanoelectromechanical systems (NEMS) with integrated piezoresistive silicon nanowires - by using a unique industrial wafer-scale VLSI Si nanowire NEMS processes with our collaborators at CEA-Leti (Grenoble, France) - has been featured as the Cover Article of Journal of Micromechanics & Microengineering (Sep. 2015 Issue). Congratulations to all the authors for the very nice Cover Art! IEEE Spectrum publishes a News Focus Article featuring some of our research works on 2D devices exploiting properties of black phosphorus crystals! Our recent article on systematically studying environmental susceptibility and degradation of black phosphorus field-effect transistors (FETs), and the encapsulation of these devices using hexagonal boron nitride (h-BN), has been featured as the Cover Article of JVST-B (Sep./Oct. 2015 Issue). It is also a "Most Read" article of JVST-B. Congratulations to Max for the very nice Cover Art to win the cover selection! Congratulations to Xu-Qian - for winning the inaugural ThinkEnergy Fellowship at Case! center in the nation. 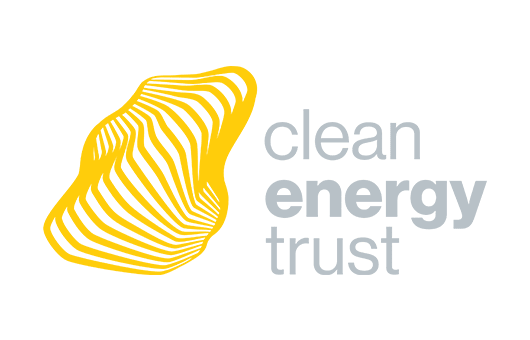 Besides receiving course credit, stipend and travel support, each of the ThinkEnergy Fellows will have the opportunities to participate in the DOE Spark Clean Energy Program, ThinkEnergy Research and Paid Internship, Externship. Congrats again XQ! Congrats to Rui for his paper on contact-mode Si nanowires and mechanically coupled Si nanowire-cantilever nanoelectromechanical switching devices published in Journal of Micromechanics & Microengineering! This work has been done in collaboration with CEA-Leti and Keithley Instruments, Inc.
Journal of Vacuum Science & Technology B features our team's article on a comprehensive study on Black Phosphorus Field Effect Transistors (FETs) Susceptibility to Environmental Effects, their Degradation, and Passivation. Congrats to Max, Arnob, Xu-Qian, and Rui~! This article has been selected as "Editor's Pick", and has been on top of "Most Read" articles of the month. Prof. Feng gave an invited talk at the 15th International Conference on Nanotechnology (IEEE NANO 2015), held in Rome, Italy, July 27-30, 2015. The talk is on coupling nanoelectronics and nanomechanics in 2D semiconducting crystals. Prof. Feng gave an invited talk at the IEEE Photonics Society 2015 Summer Topicals Meeting, held in Nassau, Bahamas, July 13-15, 2015. The talk is on 2D NEMS with ultrasensitive optical detection. Team members Xu-Qian, Max, Peng, and Prof. Feng made several presentations on 2D and SiC devices, and integrated wireless sensors at Transducers 2015, a premier conference in the field, held in Anchorage, Alaska, June 21-25, 2015. Prof. Feng gave an invited talk on NEMS Logic at the IEEE Int. Conf. on IC Design & Technology (ICICDT 2015), held in Leuven, Belgium, June 1-3, 2015. Prof. Feng gave an invited talk at the CMOS Emerging Technologies Research Conference (CMOSETR 2015), in Vancouver, BC, Canada, May 20-22, 2015. Big Congratulations to Tina, Hamid, Andrew for graduation with a Ph.D. degree!! and to Xu-Qian for graduation with an M.S. degree!! They were all walking and celebrating at the commencement with their diploma!! Prof. Feng was hooding Tina, Hamid, and XQ at the ceremony. A few photos can be found in the Gallery page of this site. Congratulations to Rui - for winning the 2015 Ruth Barber Moon Award at CWRU (being the only winner from Case School of Engineering)! Award ceremony and reception will be held on Monday, April 27, 2015, at the new Tinkham Veale University Center. 2D Materials publishes our team's article on the first systematic theoretical study of Exploiting Black Phosphorus' Intrinsic In-Plane Nanomechanical Anisotropy for Designing 2D NEMS Resonators with Novel Multimode and Frequency Scaling Characteristics. Congrats to Max and Prof. Feng! The works from our group were selected to be presented at the 2015 Joint Conference of the IEEE International Frequency Control Symposium (IFCS) & European Frequency and Time Forum (EFTF), a flagship of IEEE UFFC, held in Denver, Colorado, April 12-16, 2015. Team members Justin, Rui, and Max made presentations on studying various effects in 2D and SiC resonators and sensors, enjoyed Denver and many discussions with colleagues. IEEE Journal of Electron Devices Society (JEDS) publishes online with open access on our research on NEMS Antifuse Devices and NEMS Antifuse FPGAs for ultralow-power interconnects and security applications (in collaboration with Prof. Bhunia). Congrats to Tina and Fengchao (student of Prof. Bhunia) for passing the rigorous peer-review and the achievement of publishing this solid long article! Machine Design magazine publishes a news focus article "What Methodology Best Fits 2D-Material Fabrication? ", featuring some of our team's 2D devices and dry-transfer process for making 2D electronic and NEMS devices. Congratulations to Jon and the team, for receiving a collaborative seedling grant for Jon to conduct collaborative research as a summer intern fellow at the Wright-Patterson Air Force Research Lab (AFRL)! Kudos to Jon who's looking forward to a great summer research experience~! Congratulations to Xu-Qian and the team, for winning the 2nd place in the 2015 Case Clean Energy Challenge! This entrepreneurial effort is an exciting initiative featuring our research progress and development plan on self-powering wireless sensors. Kudos to Xu-Qian and team member Peng, and thanks to the mentoring and support from Prof. Feng and entrepreneur Mindy Baierl~! Team members Rui and Justin are going to present 2 papers at The 28th IEEE International Conference on Micro Electro Mechanical Systems (MEMS 2015), to be held in Estoril, Portugal, Jan. 18-22, 2015. 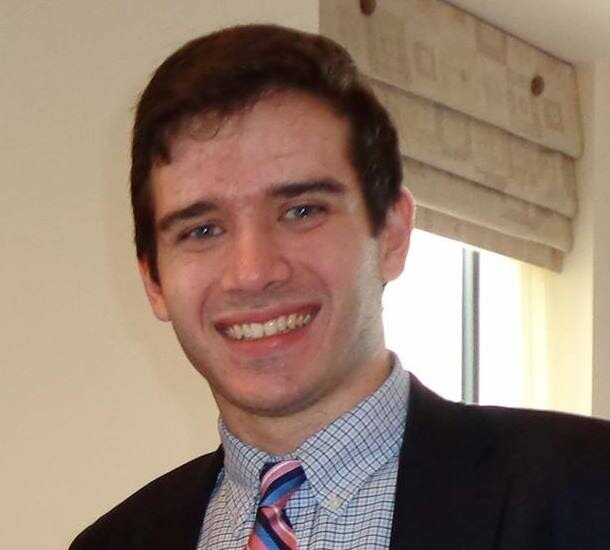 Congrats to Justin for being selected as one of the Finalists for the Outstanding Student Paper Award competition! Congrats to Rui for getting his 3rd paper in a row, at the very selective IEEE MEMS (2013-15)! IEEE Spectrum publishes a News Focus Article featuring some of our new 2D NEMS devices discussed in Prof. Feng's invited talk presented at the IEDM 2014 just a week ago! 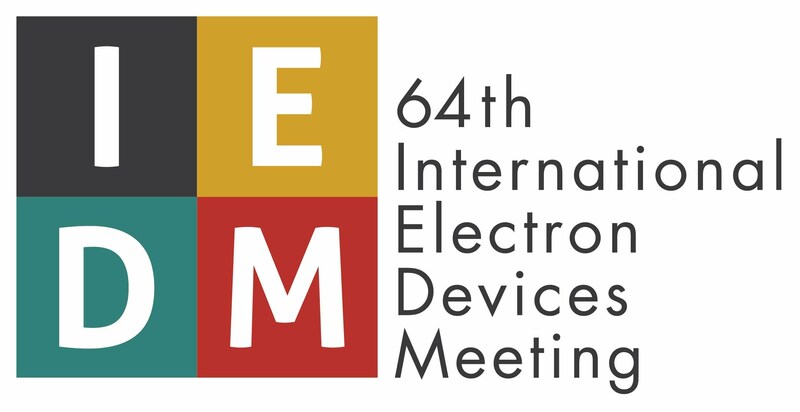 Prof. Feng gave an invited talk at the 2014 International Electron Devices Meeting (IEDM 2014), held in San Francisco, CA, Dec. 14-17, 2014. This invited talk features our group's recent progress on "2D NEMS based on Atomically-Thin Semiconducting Crystals Vibrating at Radio Frequencies". The invited paper has also been chosen as one of the "IEDM 2014 Highlighted Papers". 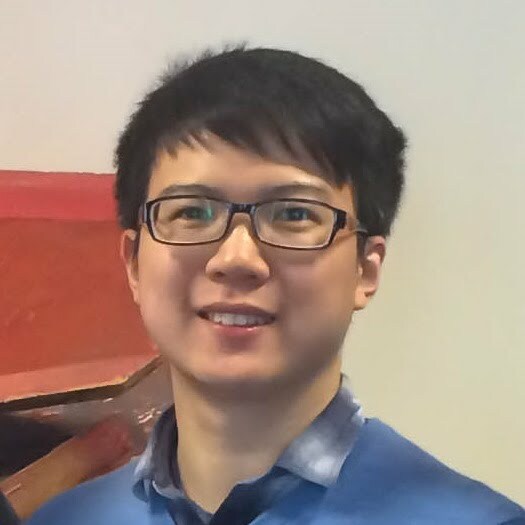 Congratulations to our team member, Jaesung Lee, for being selected to win another Best Paper Award, this time from the AVS 61st International Symposium & Exhibition (held earlier this month, in Baltimore, MD)! 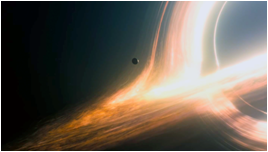 The group went to watch the new movie "Interstellar" - as our Happy Thanksgiving Journal Club! 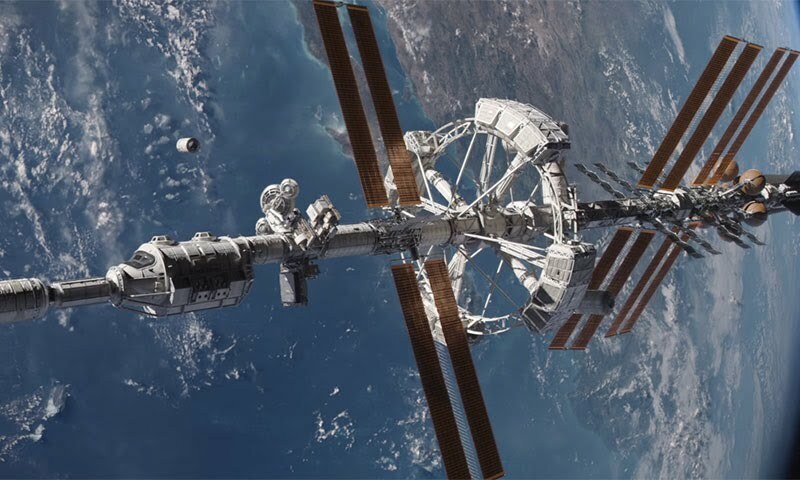 Cool science in "Interstellar" - "...We are still pioneers... We've barely begun." 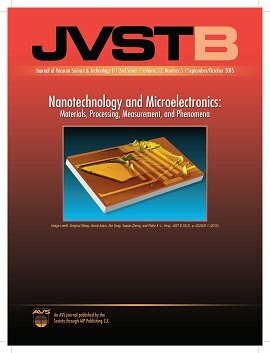 Our recent article on Completely-Dry-Transferred 2D Transistors has been featured as the Cover Article of JVST-B (Nov/Dec. 2014 Issue). It is also a "Most Read" article of JVST-B. Congratulations to Xuqian for the very nice Cover Art to win the cover selection! The Editors and the AVS Officers have also chosen to feature this work as a "Research Highlight" in the AVS Membership's Newsletter - "Beneath the AVS Surface" - "Semiconductors: New Method Simplifies Fabrication of 2D Crystalline Transistors and Suspended Devices". 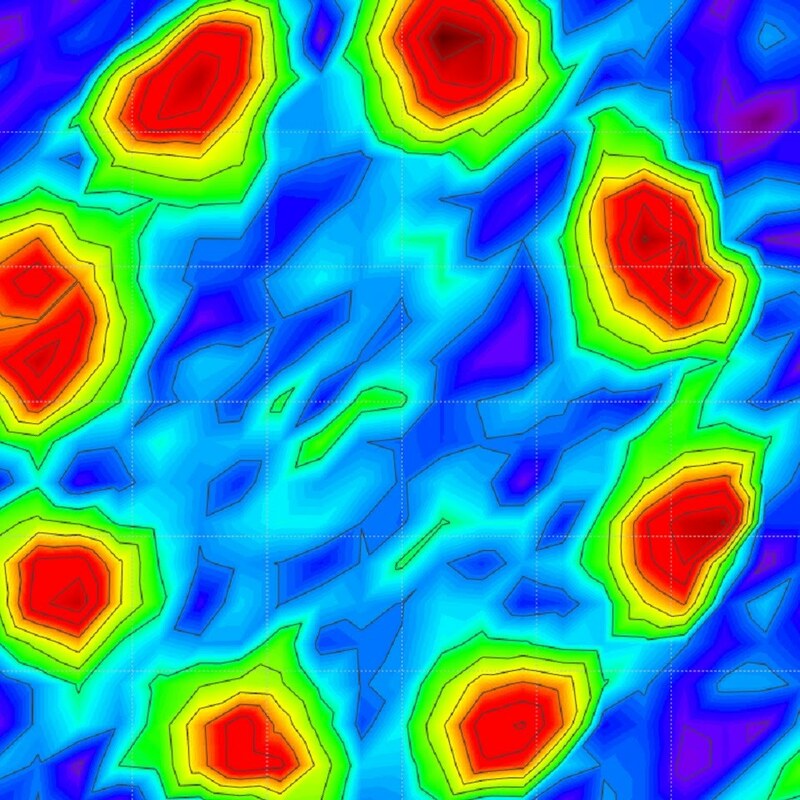 Spatial maps of multimode Brownian motions hit the news. "Researchers Discern the Shapes of High-Order Brownian Motions"
Spatially mapping and vividly visualizing the the shapes of multimode Brownian motions enabled by a record-setting scanning optical interferometry. Congrats to Max and Jaesung for the Nature Communications article! Team members made presentations at the 61st AVS (American Vacuum Society) International Symposium, showing our latest research results on NEMS/MEMS resonators based on SiC, Diamond, Graphene, and 2D Semiconducting Crystals, and enjoyed Baltimore! The team reports a novel, facile and highly efficient dry-transfer nanofabrication technique for enabling pristine 2D transistors, avoiding any wet chemical processing and contamination after the creation of 2D structures. Congrats to Rui and Xuqian! Writing in Nanoscale again, our team reports the first very-high-frequency nanoelectromechanical systems (NEMS) made of ultrathin black phosphorus (black P) nanoflakes! Congrats to Max and co-authors! Black P is a single-element layered material, and the newest direct-bandgap semiconductor in the family of 2D atomic layers. 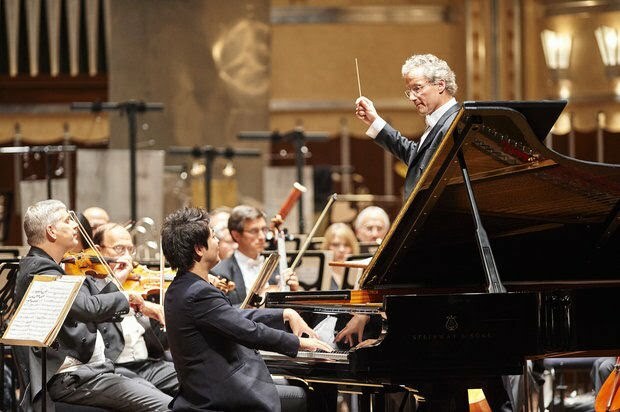 It turns out that most of our group coincidently join this awesome concert - Lang Lang plays Chopin and Strauss, with Cleveland Orchestra at the Severance Hall, conducted by Franz Welser-Most. Amazingly great performance! Nanoscale (a Royal Society of Chemistry's high-impact journal) publishes our team's combined experimental-modeling studies on the first explorations of electrical breakdown of multilayer MoS2 transistors, and how various device parameters, contacts and substrate support affect such breakdown. http://pubs.rsc.org/en/content/articlehtml/2014/nr/c4nr03472d Congrats to Rui and Max! Applied Physics Letters publishes our team's findings on the first investigations of air damping effects in atomically-thin nanomechanical resonators made of 2D crystals. Congrats to Jaesung and co-authors! Research associate Dr. Peng Wang presents collaborative work at Hilton Head 2014! Prof. Feng gave an invited talk at the 2014 New Diamond and Nano Carbon Conference (NDNC 2014). 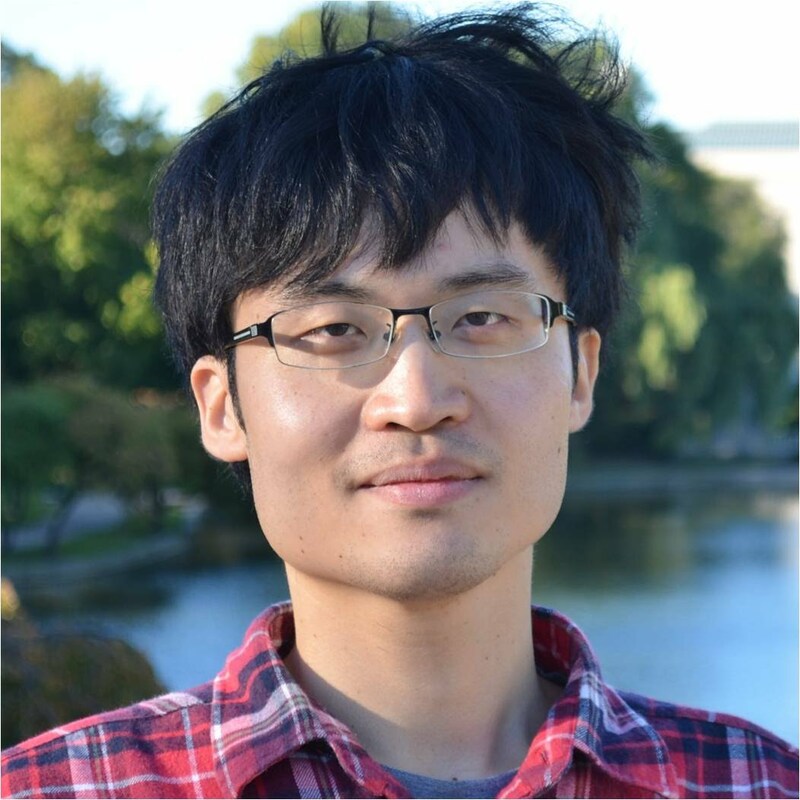 Congratulations to our team member, Jaesung Lee, for winning a Best Student Paper Competition at the 2014 IEEE International Frequency Control Symposium (IFCS 2014)! Members of the group present 5 papers (all oral presentations) at the 2014 IEEE International FrequencyControl Symposium (IFCS 2014). As a finalist for student paper competition, Jaesung Lee presents both a talk and a poster for the paper competition. Applied Physics Letters publishes the first high-Q SiC microdisk optical resonators with various tunable whispering-gallery modes, achieved in our collaborative work with University of Rochester. Undergraduate student Jon McCandless wins the SOURCE Fellowship for his summer research in our group. Jon is double-majoring in Physics and EE. Prof. Feng receives the 2014 Grainger Foundation Frontiers of Engineering (FOE) Award from the National Academy of Engineering (NAE). 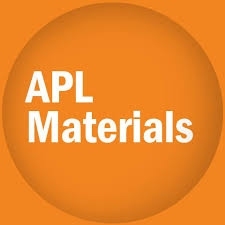 Applied Physics Letters publishes our findings on directly applicable models and predictions of linear dynamic range (DR) of atomically-thin radio-frequency (RF) nanomechanical resonators made of 2D crystals (such as graphene, MoS2, h-BN, etc.). Congrats to Max! The first "smart-cut" 6H-SiC torsional-mode resonators and their performance scaling laws published in Applied Physics Letters! http://scitation.aip.org/content/aip/journal/apl/104/9/10.1063/1.4867866 Congrats to Rui and all authors! ACS Applied Materials & Interfaces publishes our team's collaborative research on using microplasma direct-writing to produce conductive metallic patterns on surface of polymer films! Congrats to graduate students Souvik, Rui, and NSF REU undergrad Michelle! 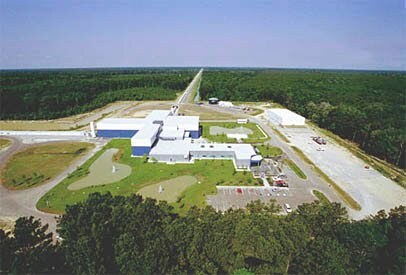 http://pubs.acs.org/doi/abs/10.1021/am406005a This collaboration is in the NSF Scalable NanoManufacturing (SNM) program. 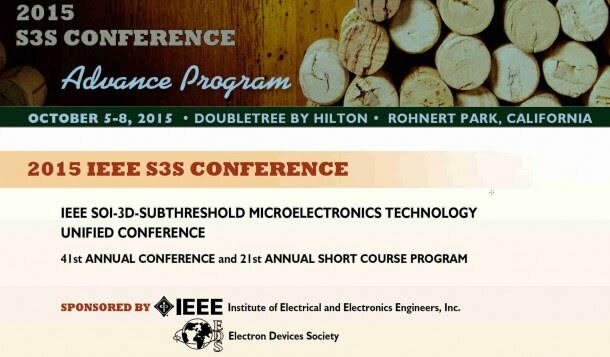 Group members Tina He and Rui Yang present 2 papers at IEEE MEMS’14. 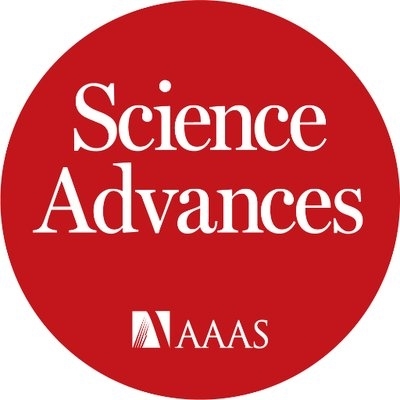 Nature's Scientific Reports publishes our findings on the first experiments and modeling of embracing and exploiting structural nonidealities and imperfections often existing in 2D crystalline devices, for engineering novel multimode resonators with unique features and potential functions. http://www.nature.com/srep/2014/140129/srep03919/full/srep03919.html?WT.ec_id=SREP-639-20140204 Congrats to Max and Jaesung! Royal Society of Chemistry's Chemistry World publishes a features article "Beyond Graphene" - highlighting a number of new research milestones in 2D crystals, including our team's 2013 work on the first MoS2 nanoresonators (ACS Nano 2013). IEEE Spectrum publishes a news focus article featuring our team's SiC NEMS logic devices just published at IEDM'13! Tina presents a talk at IEEE IEDM’13 - reporting on our team's demonstrations of SiC NEMS switches and logic gates that not only operate in a wide range of environments (from ambient air to high temperature up to 500 C), but also sustain robust performance for very long lifetime in ambient. Nature Nanotechnology publishes an invited News & Views article by Prof. Feng, discussing graphene NEMS oscillators. Nanotechnology publishes Prof. Feng and CEA-Leti team's collaborative work in last few years, on demonstrating the first junctionless silicon nanowire NEMS resonators enabled by Leti's wafer-scale ultrathin SOI technology. Prof. Feng gives an invited talk at the 3rd Berkeley Symposium on Energy Efficient Electronic Systems (E3S) - reporting on our team's robust SiC NEMS logic devices with high performance and long lifetime. Thanks to the warm invitation from Berkeley E3S Center's Director Prof. Eli Yablonovitch and all the organizers for this very nice symposium! Members of the group (Hamid, Jaesung, Max) give several presentations at the 2013 Joint UFFC, EFTF and PFM Symposium. Our presentations are in the 2013 Joint European Frequency & Time Forum (EFTF) & International Frequency Control Symposium (EFTF-IFCS 2013). As finalists for student paper competition, Hamid and Jaesung each presents both a talk and a poster for the paper competition. Go Hamid & Jaesung! All of us have enjoyed the beautiful city of Prague and the Vltava river~~ If you also love music - here is Vltava by Smetana you can enjoy too.